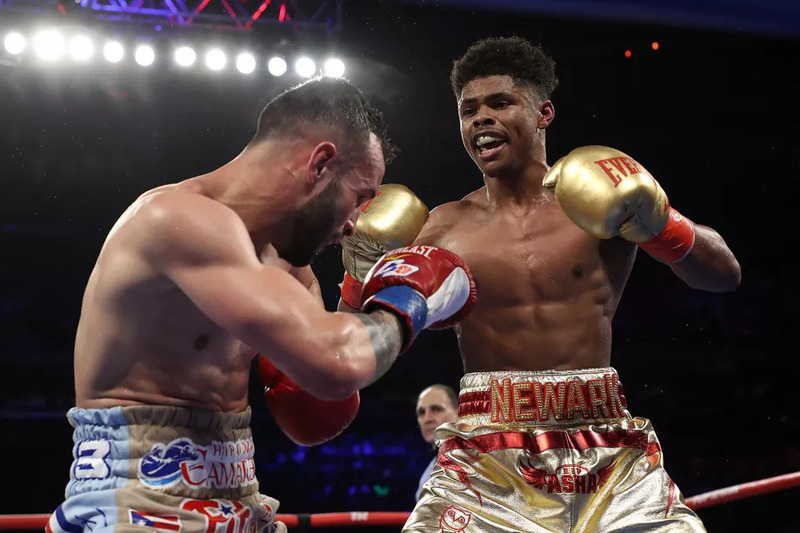 ATLANTIC CITY - The third season of Fight Night on NBC Sports Network opened with a nationally televised doubleheader from the Superstar Theater at Resorts Casino Hotel in Atlantic City. 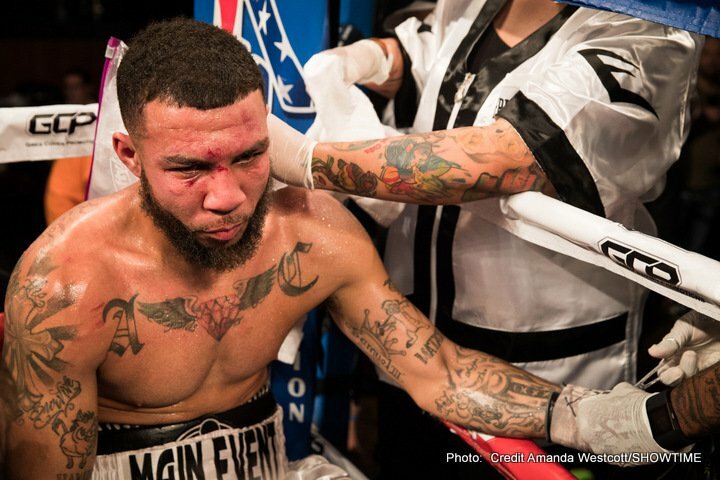 In the main event, middleweight Curtis Stevens, 26-4, 19 KOs, walked right through Patrick Majewski, 21-3, 12 KOs, scoring three knockdowns in the opening round to win by TKO after only 46 seconds of action. Stevens first dropped Majewski with a booming right. When Majewski got up, Stevens trapped him on the ropes and put him down again with a flurry of punches. Finally a hard left hook knocked Majewski down for a third time and referee Lindsey Page waved the bout to an end. Stevens said, "I tried not to think so much tonight and just come out here and let my hands loose. I let my hands go and you see what happens." 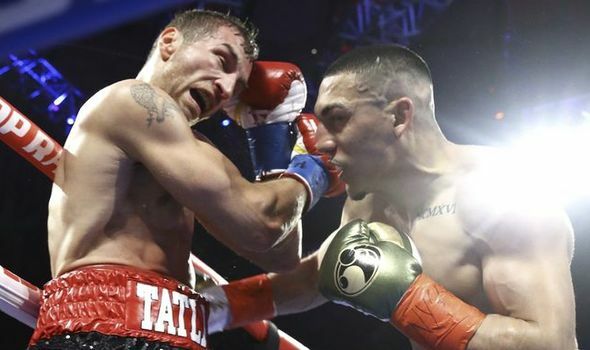 This was Stevens' first bout since losing a world title bid to Gennady Golovkin in November. In the nationally televised co-feature bout, Thabiso Mchunu's awkward southpaw style proved too troublesome for Olanrewaju Durodola, 15-2, 14 KOs. Despite a significant disadvantage in height, Mchunu, 14-1, 9 KOs, pressed the action, and landed more frequently. "He didn't want to commit," Mchunu said of his opponent. "Most of the time he was waiting for me. 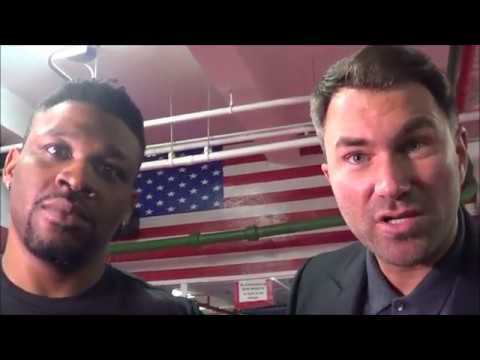 I thought he was going to throw more punches than he did, but he surprised me...I learned a lot tonight." In round two, a Mchunu left hand sent Durodola to the canvas, but he managed to get up and fight on for the rest of the scheduled distance. Mchunu went on to capture a comfortable 10-round unanimous decision by scores of 98-91, 97-92 and 96-93. The victory earned Mchunu the NABF cruiserweight title. Heavyweights Mark Rideout, 4-0-2, 1 KO, and Fred Latham, 4-0-1, 2 KOs, battled to a 4-round draw. All three judges scored the bout 38-38. 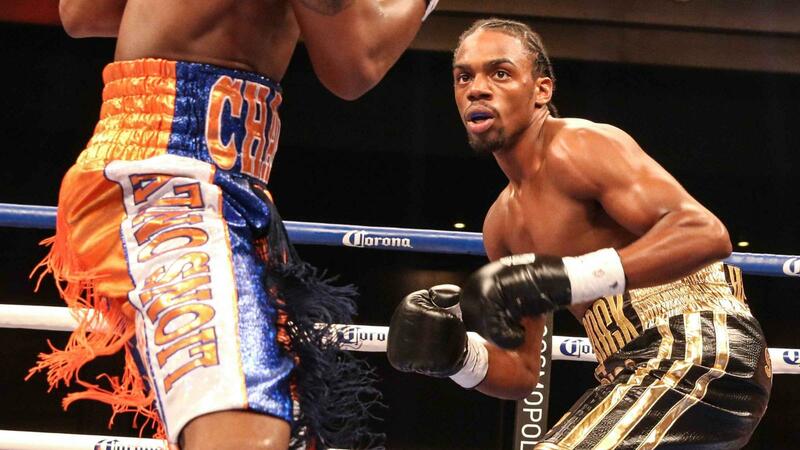 Junior welterweight Hasan Young, 5-1-1, 2 KOs, dropped Justin Johnson, 5-6-4, twice in round two, once in round five and once in round six, en route to winning a wide-margin unanimous decision. Southpaw Wellington Romero, 2-0, 1 KO, remained undefeated with a first round TKO of junior welterweight Ismael Serrano, 1-1. 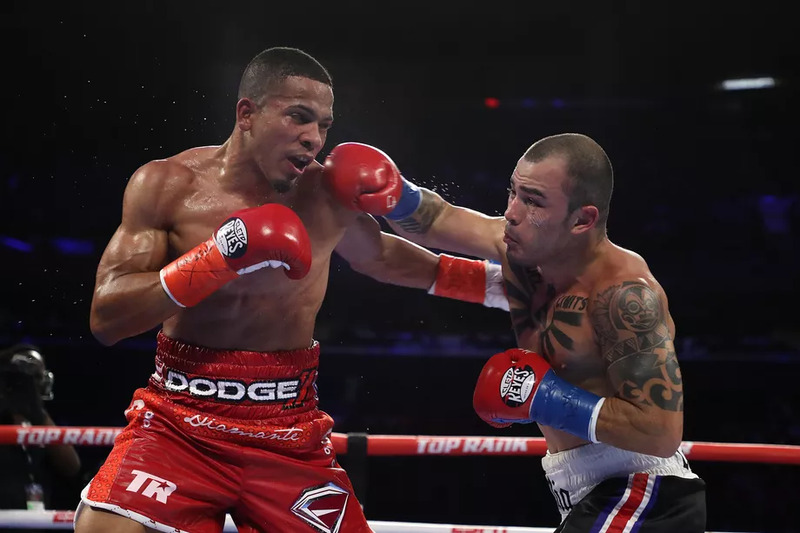 Romero floored Serrano with a right, and after Serrano regained his feet, Romero battered him until referee Allan Huggins stepped in to stop the fight at 1:29. In a shocker, light heavyweight Roberto Acevedo, 8-1, 5 KOs, jumped right on Ilshat Khusnulgatin, 10-1, 6 KOs, and scored a first round TKO. Acevedo hurt his opponent several times before a vicious right hand punch produced a knockdown. Referee Lindsey Page stopped the fight immediately. The time was 2:09 of round one. 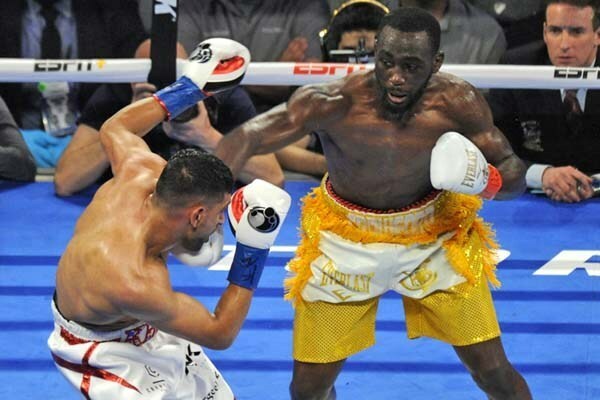 Wilky Campfort, 16-1, 9 KOs, took a split decision against DeCarlo Perez, 11-3-1, 4 KOs, in a terrific 8-round junior middleweight fight that featured exciting exchanges throughout the bout. In the end, two of the three official judges gave Campfort the edge, 77-75 and 78-74. One judge favored Perez 77-75. In the opening fight of the night, southpaw Venroy July, 16-1-2, 6 KOs, won by unanimous decision over Sevdail Sherifi, 9-3-3, 8 KOs, in their 6-round cruiserweight bout. Sherifi started fast, but July surged in the last four rounds to take control of the fight.